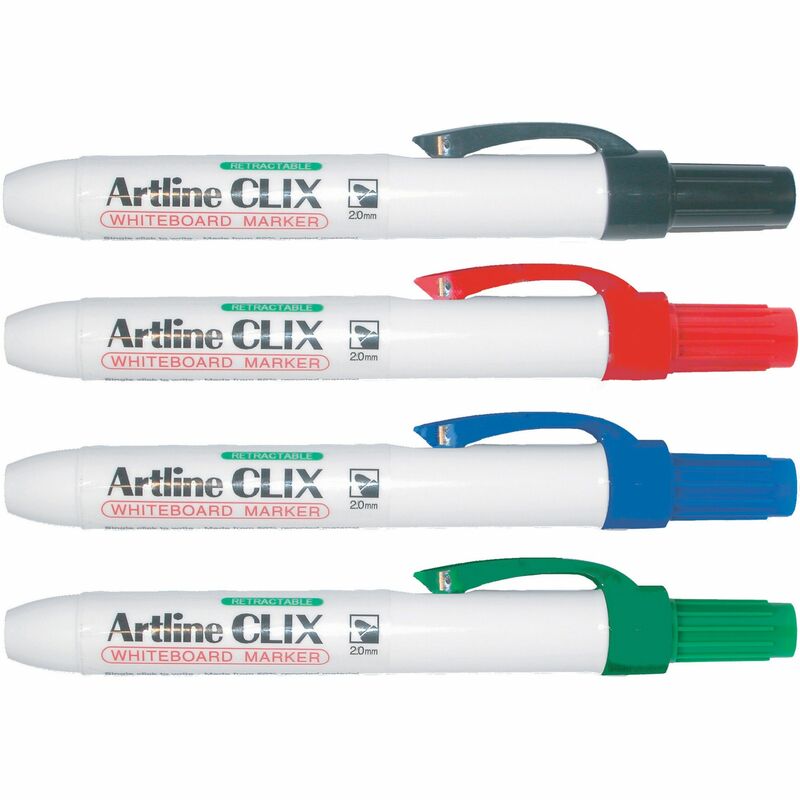 Non-permanent markers for use on whiteboards for presentations or in the classroom. 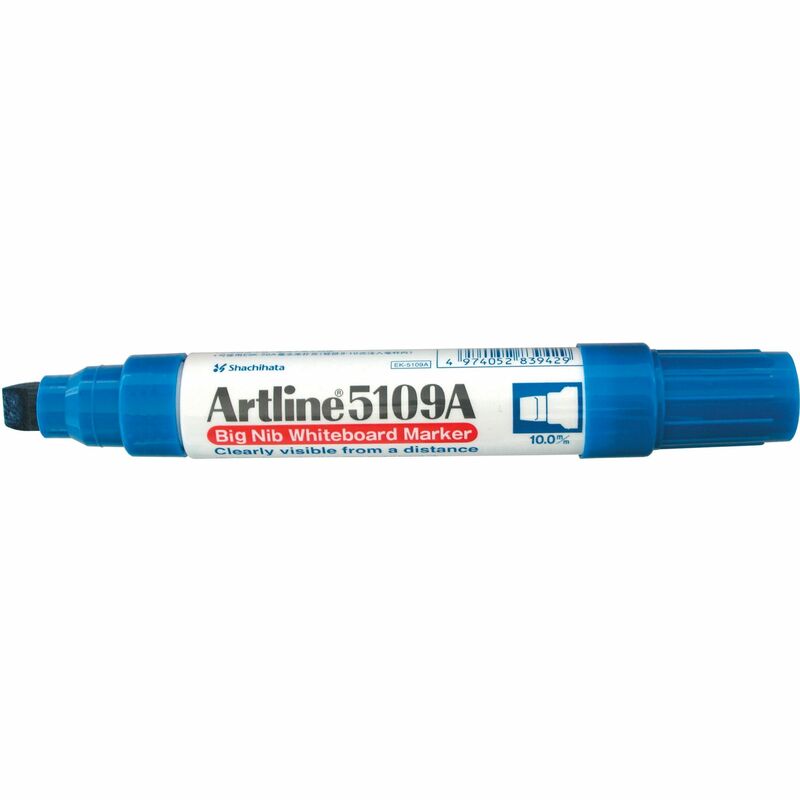 Artline CLIX 573A - ideal for use with enamel porcelain or melamine surfaced boards. 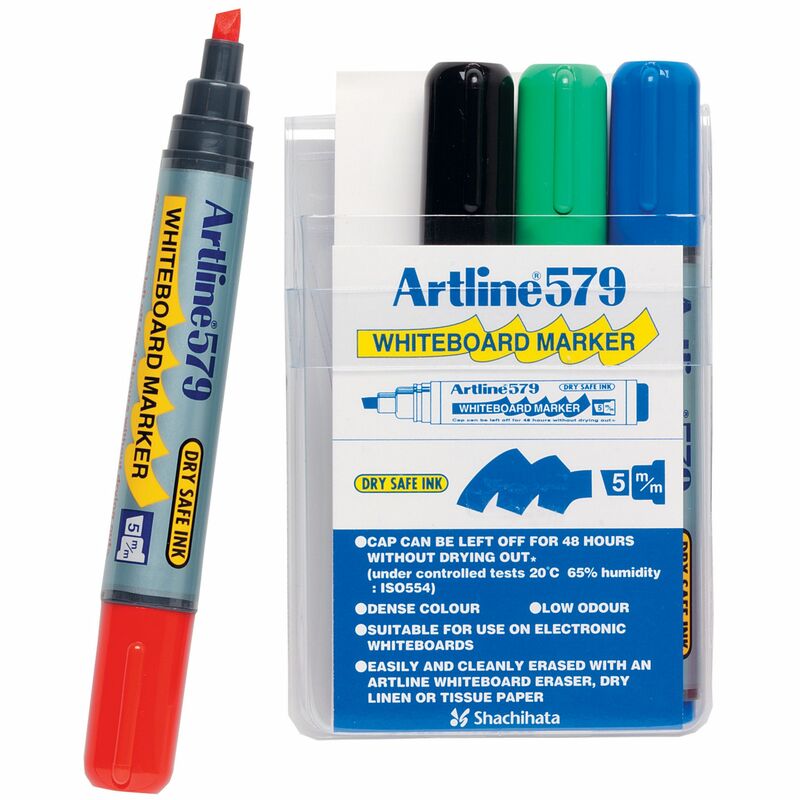 This marker features a retractable mechanism and handy pocket clip for easy use anywhere. Automatically retracts when clipped in pocket. Made from 50% recycled materials and non-offensive low odour. Available in bullet and chisel nib models. 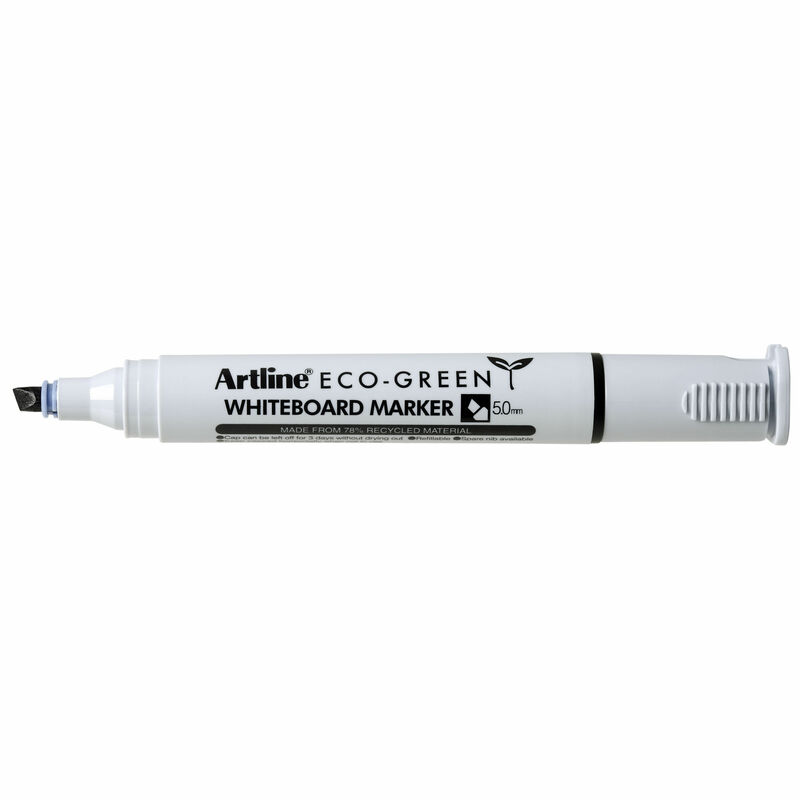 The Artline 550A contains dry erase ink - ideal for use with enamel porcelain or melamine surfaced boards. The alcohol based pigment ink has a non offensive low odour and provides dense bold colours. 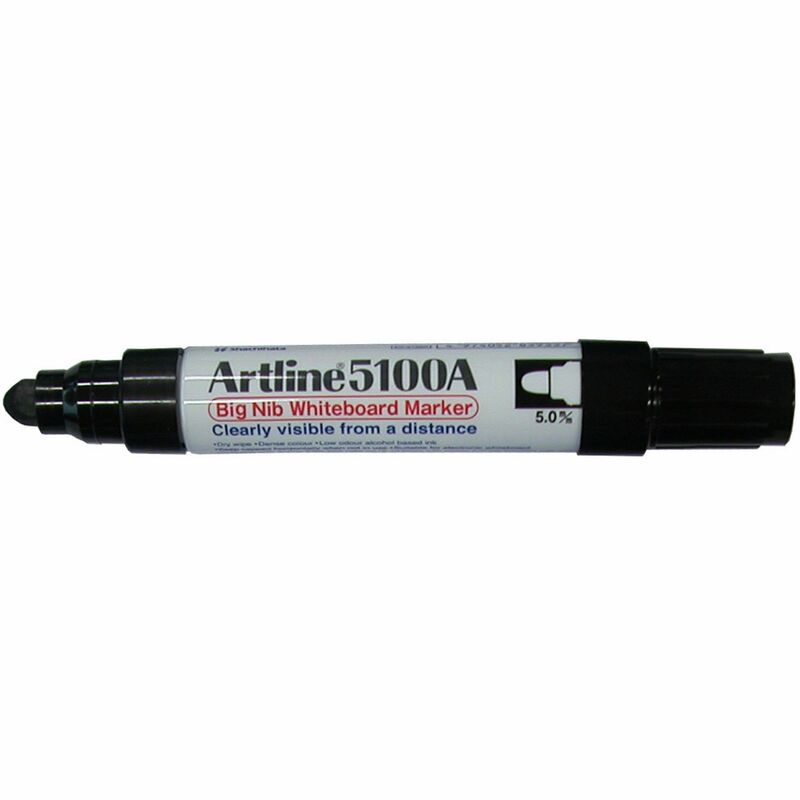 The extra large nibs on this whiteboard marker produces bold line widths so that messages can be easily seen from a distance. The low odour, alcohol based ink in this marker produces dense bold colours. 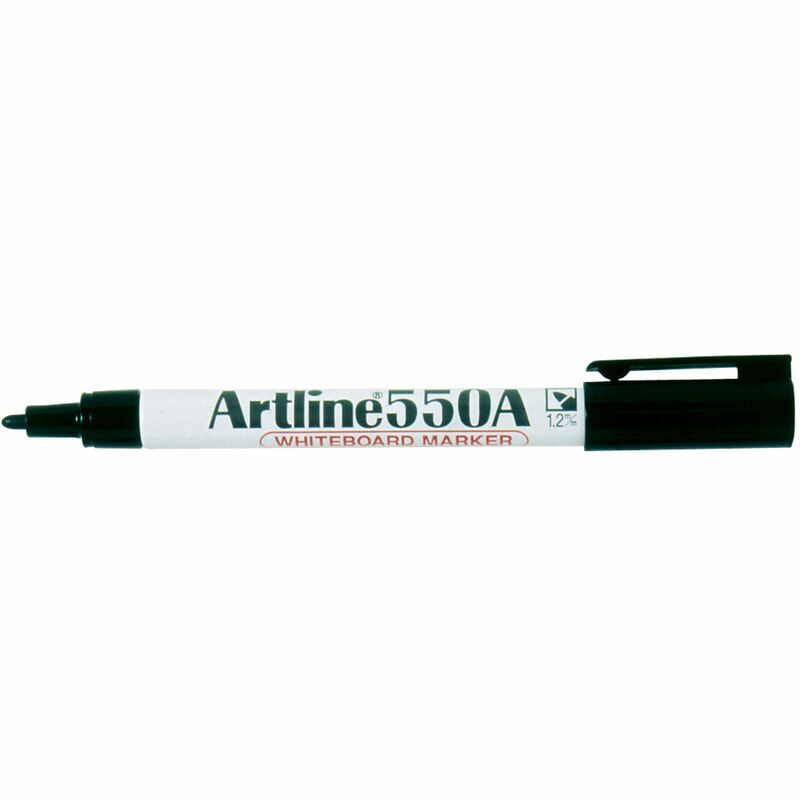 The Artline 509A contains dry erase ink - ideal for use with enamel porcelain or melamine surfaced boards. The alcohol based pigment ink has a non offensive low odour and provides dense bold colours. The Artline 500A contains dry erase ink - ideal for use with enamel porcelain or melamine surfaced boards. The alcohol based pigment ink has a non offensive low odour and provides dense bold colours. Eco-friendly whiteboard marker with chisel nib. Made from 78% recycled material. 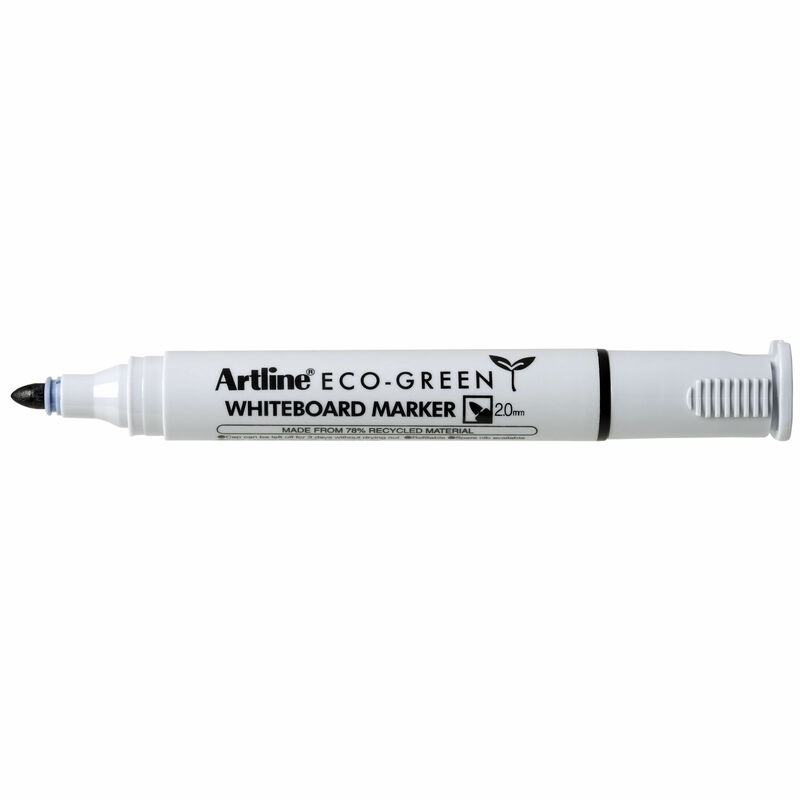 Eco-friendly whiteboard marker with bullet nib. Made from 78% recycled material. The unique dry safe ink formula allows the cap to be left off for up to 48 hours without drying out (in controlled tests). The alcohol based pigment ink in the Artline 579 has a non offensive low odour and provides dense bold colours. Suitable for use on electronic whiteboards. The unique dry safe ink formula allows the cap to be left off for up to 48 hours without drying out (in controlled tests). 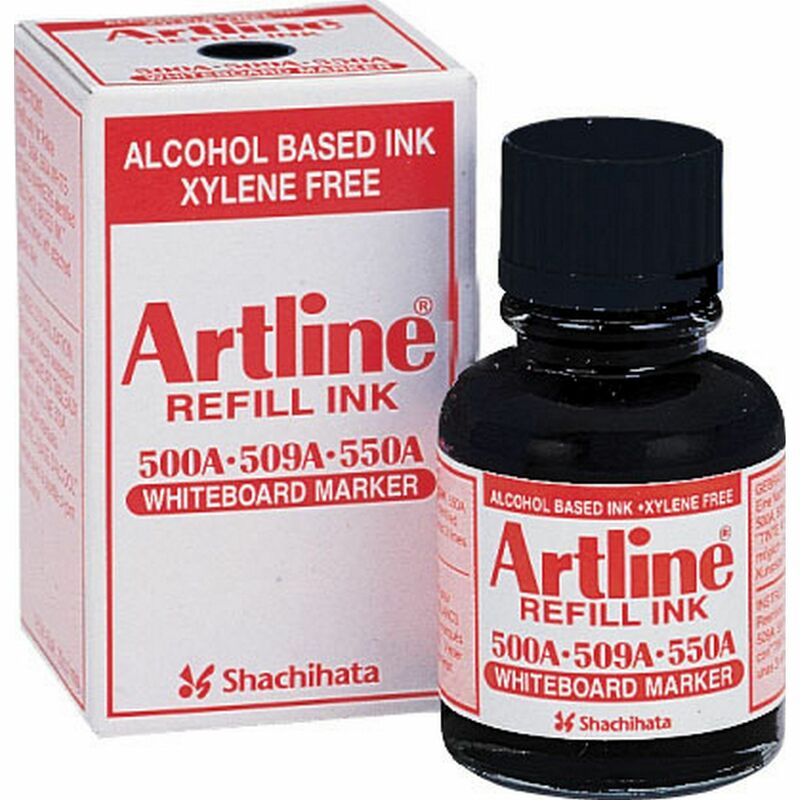 The alcohol based pigment ink in the Artline 577 has a non offensive low odour and provides dense bold colours. 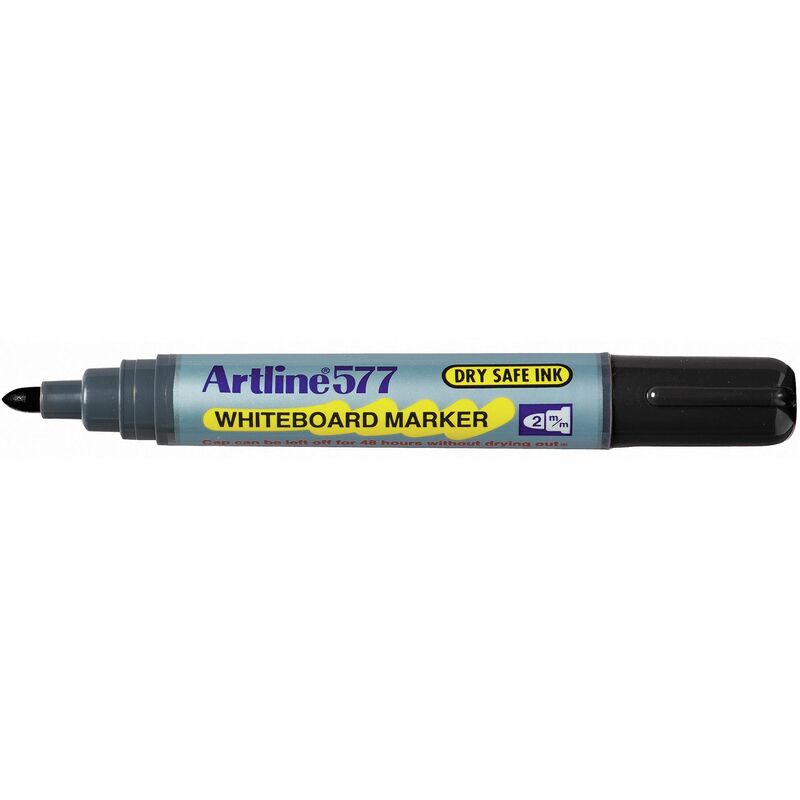 Suitable for use on electronic whiteboards. 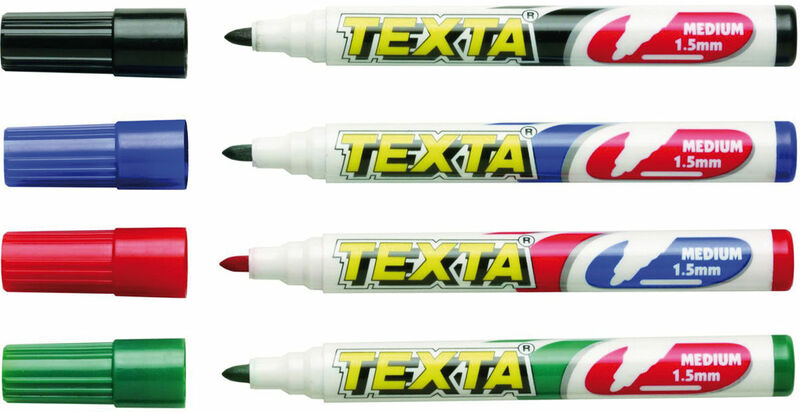 TEXTA Whiteboard Markers wipe dry instantly from most surfaces.